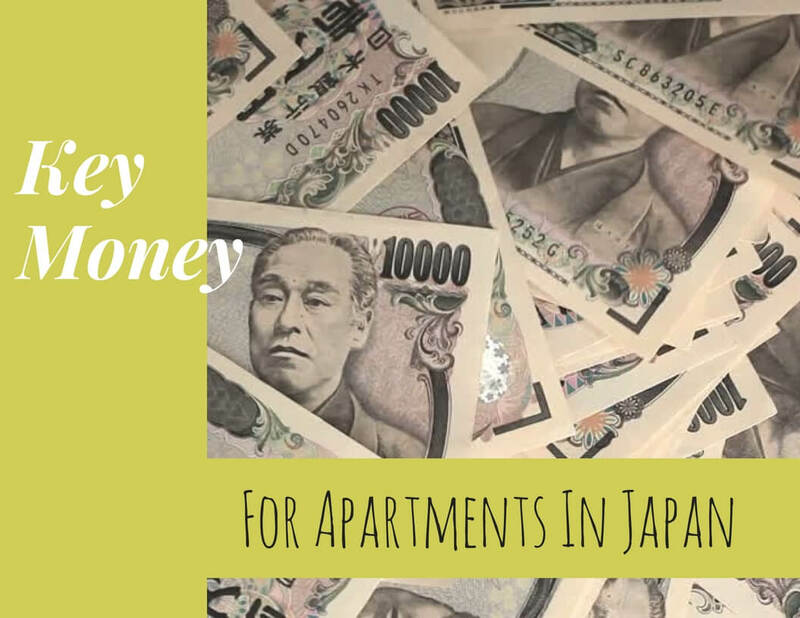 The dreaded key money, The most commonly hated fee involved with the initial payments for apartments in Japan. Below you will find everything that you need to know about this fee and more. Some people think that reikin (礼金) or ‘key money’ means the total initial cost for an apartment in Japan. This is not the case. It is only one out of many non-refundable fees that can be attached to an apartments initial cost. Key money is basically a present that you give to the landlord. This fee is most common with larger apartments. However it is still very common for most apartments in Japan. What's The Reason For Key Money And Why Do I Need To Pay It? Key Money started right after the Kanto Earthquake. landlords were in a position of choosing who they rented to because most properties were destroyed. Key Money was given as a present to the landlords for appreciation of accepting them into their properties. Today however there are many different reasons why key money can be a part of the initial cost. The two main reasons are that either because of the supply and demand of its quality or location. The other reason is that sometimes an owner has additional cost themselves. This is usually from a realtor or management company. So instead of the owner paying for all of it themselves. The owner will put key money down as an initial fee. This will allow the owner to avoid extra cost for themselves but not for you. What is the cost of this fee? The average cost of this fee is the same as one months rent. This also can go as high as two months with larger apartments for example a 3LDK. Can I avoid paying key money? Absolutely, although this fee is very common it is not too hard to find apartments without it. Especially if you are looking for a 1K or studio apartment. You can also try to negotiate this fee off of your bill. however usually this works if the apartments cost is a bit higher than average. An average first payment in Japan is five times the rent. That can be higher with larger apartments for example a 3LDK. A good deal is considered anything that is three times the rent or lower. Because this fee is the most hated and well known realtors will sometimes use this against you. An apartment with no key money will not necessarily mean it will be cheaper for you. There can be many other fees involved that can drive up the cost. Make sure you know the total initial cost. Hidden fees are extremely common with most apartment listings especially on Japanese websites. Most of the time you will have to find this out by giving them a call or even going to the realtors offices in person. Here at Gaijin apartment helper we have no hidden fees and many of our apartments have no key money as well. ⟵Guarantors, Do you need one?